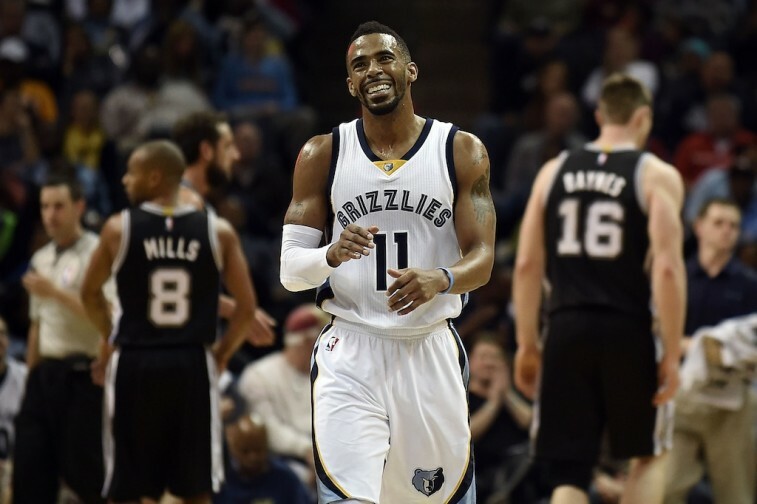 Can the Grizzlies Win an NBA Title Without Mike Conley? The Portland Trail Blazers live to fight another day. On the back of Damian Lillard’s playoff career-high 32 points, the Trail Blazers overcame a 10-point four-quarter hole to defeat the Memphis Grizzlies by score of 99-92. Although it’s obvious who the driving force behind this Game 4 victory was, the Portland point guard still managed to get quality support from his teammates. Despite only shooting 6-22 on the night, LaMarcus Aldridge contributed another double-double, with 18 points and 12 rebounds, but it was reserve guard C.J. McCollum who would play the Robin to Lillard’s Batman, coming off the bench to give Portland 35 big-time minutes. I think since the last game when we went 0-3, the big thing we’ve been talking about is having heart and playing with pride — and just not being swept. Everybody’s always saying, “Nobody’s ever done it, coming back from 0-3.” We didn’t want to focus on that. We wanted to focus on just today, and doing everything we had to do to give ourselves a chance to keep playing. The Blazers did exactly what they needed to in order to force a Game 5 in Memphis. Their stars stepped up, the bench provided a spark, and the team fought hard to overcome the late-game adversity. However, aside from these crucial factors that played to the Trail Blazers’ advantage, the underdogs also caught a fortunate break, and it’s one that could hurt the Memphis Grizzlies should they advance to the Western Conference semifinals. 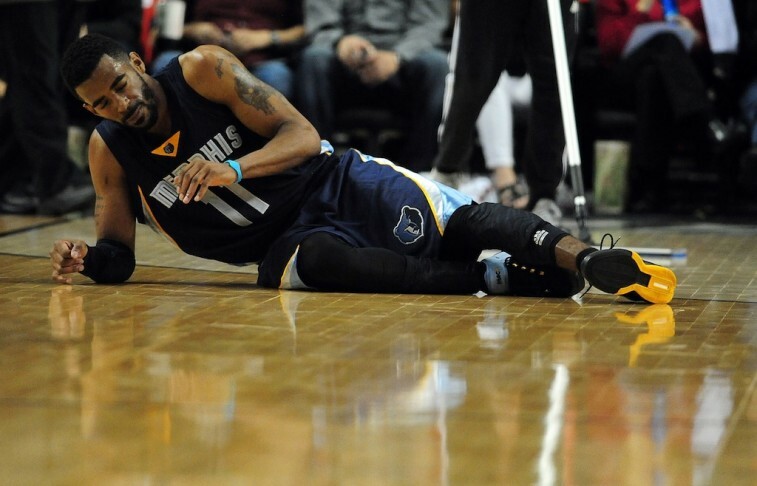 As Portland proved, the Grizzlies are a different team without Mike Conley. The Memphis guard was absent from Monday night’s contest and is out indefinitely after undergoing surgery to repair a facial fracture that he sustained during the third quarter of the Grizzlies’ Game 3 victory. Without a set timetable for Conley’s return, the team will prepare accordingly. It’s a good sign to see the Grizzlies so optimistic about the situation. The only way to overcome this sort of significant blow is with a positive attitude, because you don’t just replace a guy like this. You hope to weather the storm, which is certainly easier said than done. During the regular season, Conley gave the Grizzlies 15.8 points and 5.4 assists per game. So far this postseason, the point guard is averaging 16.0 points and 3.7 assists a contest. These figures are pretty similar, but they don’t show the guard’s true significance. Not only does Conley control the pace and tempo for this Memphis team, but he is valuable on the defensive end of the floor as well. That’s something that has been crucial to the team’s success during this first round. In this case, the numbers will back that up. It’s true that Portland’s Lillard went for 32 points in Game 4. It’s also true that the All-Star is averaging 21.5 points per game this series. But what has he done when Conley’s been in the Grizzlies lineup? In Game 1, Lillard only had 14 points. He shot 5-21 from the field and was minus-15 on the night. During the second game of the series, the Portland guard managed to score 18 points but was minus-14 in the contest. Game 3 featured more of the same. Lillard had 22 points in 40-plus minutes of play. And yet, he missed eight shots on the night and was minus-5 for the game. With Conley not playing on Monday, it should come as no surprise that the Trail Blazers point guard broke out for a big game. Therein lies the major dilemma facing the Memphis Grizzlies: Without Conley on the floor, this team is missing a major component. He’s a point guard with great vision, finishing ability, and defensive chops. This is a guard-dominated league, and teams without such a player will struggle to keep up with the rest. Memphis may be able to finish off the Trail Blazers without Conley — after all, they did hold a double-digit lead in the final frame of Monday’s game. But one game does not win you an NBA championship. The team that wins this series will move on to face the Golden State Warriors and superstar Stephen Curry. This squad is hard enough to defeat when you’re at full strength, let alone missing the guy tasked with stopping the game’s most lethal shooter. The Memphis Grizzlies can ill afford to be without their point guard for an extended period of time. Prior to the injury, this team appeared to be a serious contender to come out of the Western Conference. Now, we have trouble envisioning them getting past the next round. Of course, this team could turn around and prove us wrong. But we just don’t see that happening.